By: Charles J. Gans, The Associated Press. 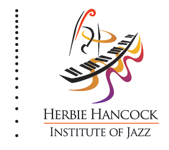 Herbie Hancock reckons he’s performed more often in Japan than in his hometown of Chicago during his professional career. The pianist will be back next month for an all-star concert at Osaka Castle Park highlighting the third annual International Jazz Day. 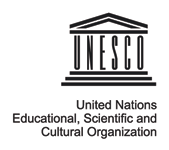 Hancock, a UNESCO Goodwill Ambassador, says it’s an opportunity to show appreciation for Japanese jazz fans who have been among the world’s greatest supporters of the music. He first performed in Japan with Miles Davis’ quintet in 1964, and has toured there with his own electric and acoustic groups for decades. “Osaka has played a leading role in the early days of jazz in Japan and in Asia,” Carter said. After American and Filipino bands introduced jazz to Japan, Japanese musicians began playing jazz in Osaka’s dance halls. They included trumpeter Fumio Nanri, who toured the U.S. and was dubbed the “Satchmo of Japan” by Louis Armstrong. “I was introduced to jazz while playing in a dance hall as a teenager during the American occupation by a Japanese jazz fan and record collector. He played Teddy Wilson’s ‘Sweet Lorraine,’ and I was hooked,” said pianist-composer Toshiko Akiyoshi, who will be performing with her husband, saxophonist-flutist Lew Tabackin, at the Osaka concert. Veteran Japanese trumpeter Terumasa Hino, who will be among the performers, hopes Jazz Day will rekindle interest in jazz. “I hope that this year’s event in Osaka provides a spark for young Japanese people to get to know jazz and enjoy it,” he said. 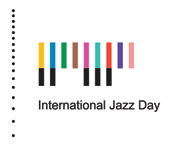 Hancock said International Jazz Day has “gone beyond our wildest expectations” since its launch in 2012. In Damascus, Syrian musicians gathered to screen the global concert live from last year’s host city of Istanbul, Turkey. In the new country of South Sudan, a cafe in the capital, Juba, organized a jazz performance. In the Pacific Island nation of Nauru, a radio station broadcast jazz throughout the day.